Every once in a while I get inspired to make a special drink. For a while it seemed that every drink I made had simple syrup in it. Yes it is very simple to make, but it is just so sweet – even too sweet for me, and I like sweet drinks. Last summer I decided I was going to try and make drinks without sugar – but with fresh fruit instead. I found this recipe in Cooking Light (I know, sounds strange, but true! ), and I was very intrigued. I decided to make it one night, and I was blown away with how good it was. It was so refreshing, and flavorful – and had the perfect amount of sweetness. I couldn’t wait to make it again. Summer came so slowly here this year, that I couldn’t wait. I ended up making this when it was still pretty cold, but it didn’t matter. Drinking this made it seem like it was summer. I highly recommend using Hendrick’s Gin when making this – if you haven’t had this gin before – go to the store right now and pick some up. It is muddled with cucumber and rose petals, and I promise it will be the best gin you have ever tasted in your life. Combine half each of watermelon, mint, juice, and cucumber in a blender or food processor; process until smooth. Line a fine sieve with 4 layers of cheesecloth, allowing cheesecloth to extend over edges; strain watermelon mixture through prepared sieve over a bowl, reserving juice mixture. Gather the edges of the cheesecloth together. Holding cheesecloth over sieve, squeeze to release the remaining juice mixture. Discard solids. Repeat the procedure with the remaining watermelon, mint, juice, and cucumber. Combine 2 1/2 cups juice mixture, tonic water, and gin, stirring well to combine. (Reserve any remaining juice mixture for another use.) Serve over ice. oh my! this looks amazing. 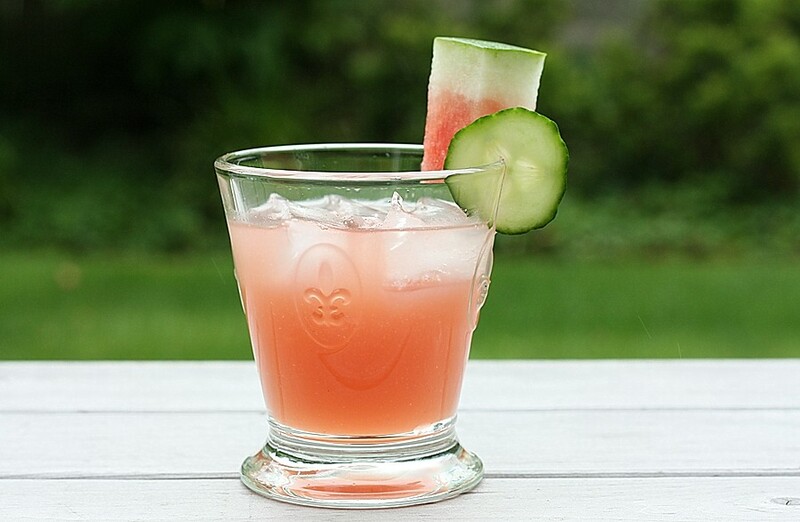 watermelon, cucumber and gin…heck yes! This looks delicious! I love cucumber drinks! 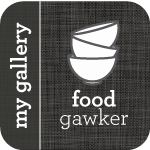 However, I think your garnish is a little clunky – you don’t really need the chunk of watermelon, it adds too much pink to the scene in the wrong place. Next time just do the slice of cucumber. If you feel really urged to include watermelon, do a thicker slice of cucumber with a ball of melon on a skewer. That will push the pink color away from the rest of it and provide an interesting imbalance. Beautiful glassware – the drink looks (and sounds) fantastic!